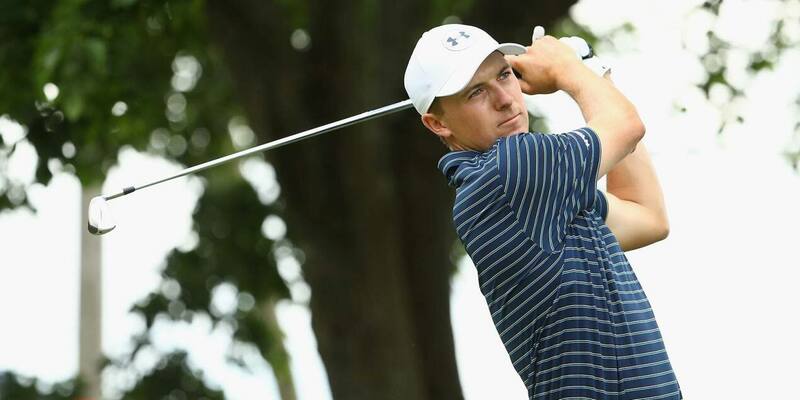 The Travelers Championship today announced that defending champion Jordan Spieth has committed to play in the 2018 tournament. 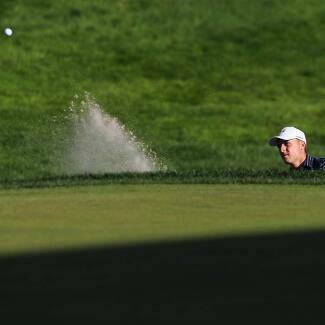 Spieth won the 2017 Travelers Championship in dramatic fashion, beating Daniel Berger in a playoff after holing a bunker shot. The celebration that ensued between Spieth and his caddie, Michael Greller – tossing the club and bunker rake, then chest-bumping – was one of the PGA TOUR’s most iconic moments of 2017. 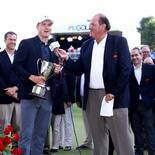 Spieth’s win at TPC River Highlands came in his Travelers Championship debut. He led wire to wire, finishing at 12-under-par with rounds of 63-69-66-70. His even-par final round allowed Berger to catch him after 72 holes, but Spieth was able to hold on in the playoff. 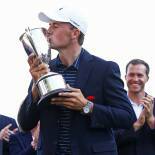 Spieth, a 24-year-old from Dallas, followed his win at the Travelers Championship with a victory at the 2017 British Open. That gave him three major championships; Spieth previously won the Masters and the U.S. Open in 2015. He will attempt to complete the career grand slam at this year’s PGA Championship. With 11 PGA TOUR victories in his career, Spieth has been one of the world’s best players since he turned professional in 2012. He was named PGA TOUR Rookie of the Year in 2013, then won the PGA TOUR’s Player of the Year honors in 2015, when he won five tournaments, plus the FedExCup title. 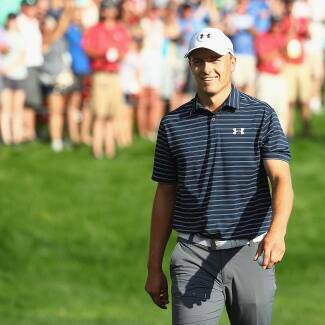 Spieth has held the No. 1 spot in the Official World Golf Ranking for 26 weeks, and is currently ranked No. 4. Spieth joins a number of players who have already committed to the Travelers Championship, including Patrick Reed, Rory McIlroy, Justin Thomas, Bubba Watson, Paul Casey, Charley Hoffman, Bryson DeChambeau, Zach Johnson and Jim Furyk. The 2018 Travelers Championship will be held June 18-24 at TPC River Highlands in Cromwell, Connecticut. For more information on this year’s tournament, visit www.TravelersChampionship.com.